Contra Costa County, California, is no different than any other county in the United States in that it is illegal to operate a motor vehicle while intoxicated or under the influence of drugs. If you were arrested for a DUI, you know you are facing serious criminal charges and will need the services of an experienced and skilled drunk driving defense lawyer to evaluate your case. Your choice of attorneys will change your life. If you were arrested in Contra Costa County, CA, or the surrounding areas, contact The Law Office of Robert Tayac. This reputable firm has been successfully representing clients in Northern California for over a decade. The Law Office of Robert Tayac has helped innumerable clients dispute their DUI or DUID charges. If you choose California DUI attorney, Robert Tayac, be assured that your case will receive prompt attention and always be considered priority. You will have the opportunity to ask questions regarding your individual situation. While reviewing your case with our firm, we may be able to find errors on behalf of law enforcement and blood alcohol testing which can lead to a dismissal of your DUI charge. How many DUI cases have you represented? How many of those cases did you win? What percentage of your practice is dedicated to DUI defense? Do you provide a written contract specifying all fees and services your provide? If so, is the contract provided before services are rendered? Are there any disciplinary or administrative actions against you from the State Bar of California? What DUI seminars and training courses have you completed? Have you ever taught or been a guest speaker at a DUI seminar or training course? Are you a former prosecutor or law enforcement officer? To what DUI related professional organizations do you belong? Are you an expert criminal DUI defense attorney? Are you an expert DMV hearing attorney? Will you be available by phone or email to specifically discuss my case? Facing DUI charges can be overwhelming. If you have been charged with a serious criminal offense in San Francisco, Alameda, Marin, San Mateo or Contra Costa County, having a skilled and successful drunk driving defense attorney on your side is crucial. At the Law Office of Robert Tayac, you will receive thorough and thoughtful counsel and the aggressive defense needed to contest the charges made against you. 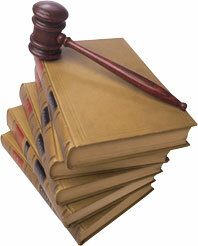 For a free consultation with no obligation, please contact the Law Office of Robert Tayac at (800) 901-1888.